OXFORD, England (CNS) — A church leader in Turkey said Catholics are fearful about attending church after recent terrorist attacks, but insisted local Christians can count on government protection. 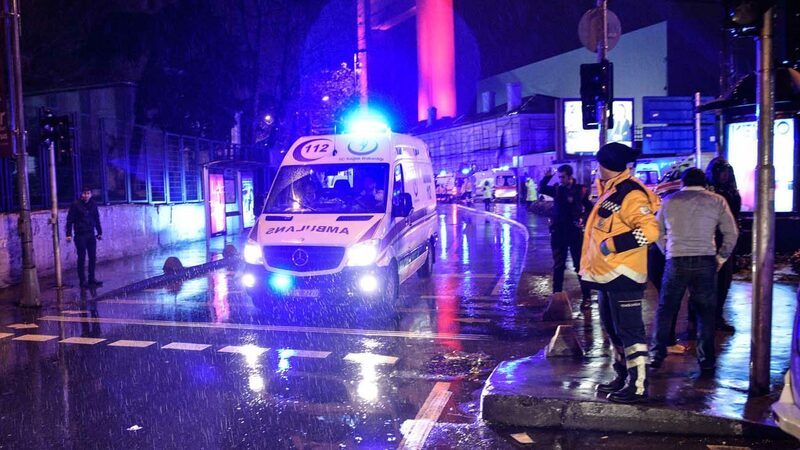 The Mexican-born bishop spoke as a car bomb killed four and wounded 11 outside a courthouse in Izmir, while a police hunt continued for the perpetrator of a Jan. 1 attack on Istanbul’s Reina nightclub, which left 39 dead and at least 70 injured. In a Jan. 5 interview with Catholic News Service, Bishop Tierrablanca said Turkey’s minority Catholic Church was thankful no resident members had been hurt or killed in the atrocities. “It’s a difficult moment, and all we can really do is speak out together against terror and in favor of peace; this, rather than any political statement, has to be our message to the Turkish authorities,” said Bishop Tierrablanca, who also heads the exarchate for Turkey’s Byzantine-rite Catholics. The Islamic State group claimed responsibility for the nightclub attack in retaliation to Turkish military action in neighboring Syria. Veysi Kaynak, Turkey’s deputy prime minister, said police were closing in on the nightclub gunman after tightening security at airports and border crossings. Religious minorities have long complained of being denied rights in Turkey, most of whose 75 million inhabitants are Sunni Muslims. Minorities have faced problems recruiting clergy, establishing associations and obtaining building permits. During a November 2014 visit, the pope urged greater tolerance for Christians, including the Catholic Church. However, human rights groups have voiced fresh concerns about human rights and democratic procedures amid mass arrests and job dismissals since the July coup attempt, in which 246 people, mostly civilians, died. Bishop Tierrablanca told CNS that imams and Muslim community leaders regularly attended Catholic services and took part in interfaith events, adding that he had personally thanked police for helping protect a Jan. 1 Mass at Istanbul’s Cathedral of the Holy Spirit. “Despite its problems, our country is no more dangerous than many others — the challenge is only from a few small groups and individuals,” Bishop Tierrablanca said.